MBM FINISHING PRODUCTS ARE DESIGNED TO MEET THE TOUGHEST STANDARDS – YOURS! Manufactured in Germany by MBM’s parent company, IDEAL Krug & Priester, IdealMBM sets the industry benchmarks for precision engineering and safety features. Krug & Priester is the leading manufacturer of small format paper cutters in the world and has set the standards in this segment of the cutter industry for over 50 years. 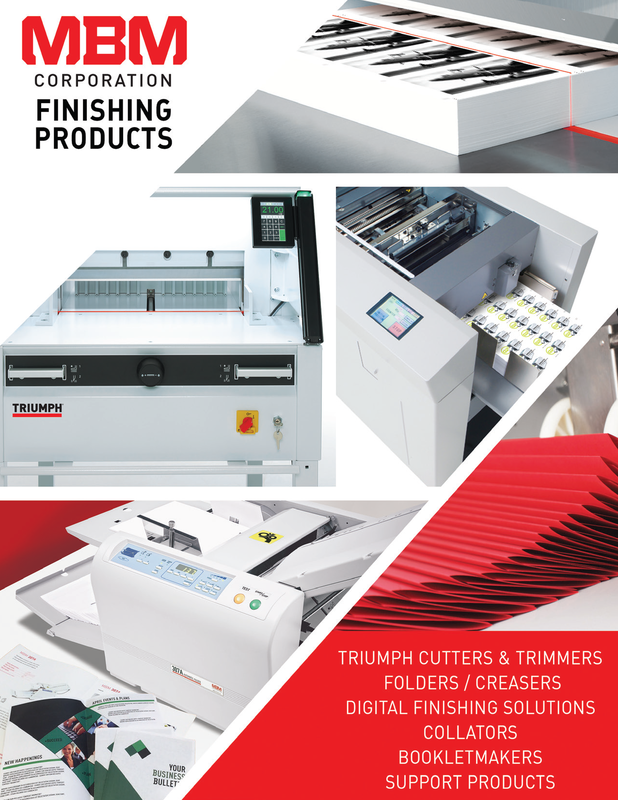 MBM folders, collators, and bookletmaking systems provide today’s commercial, in-plant, and on-demand operations with the most advanced finishing solutions available. Cutting edge technology such as microprocessor based controls, digital displays, and sophisticated automated programs ensure the highest levels of performance.